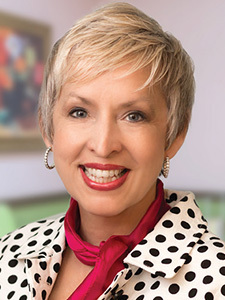 Dr. LaNette F. Smith is a board-certified, fellowship-trained breast surgeon who works closely with other specialists to provide a multidisciplinary approach to breast care. She previously practiced with Breast Surgery of Tulsa and Breast Specialists at Saint Francis, and now serves as the Medical Director for Breast Surgical Services at St. John Medical Center. Dr. Smith has been named a Top Doctor in Oklahoma by Oklahoma Magazine for multiple years as well as a Top Doctor by Castle Connolly. She was the first fellowship trained breast surgeon to establish practice in northeastern Oklahoma. She is a member of the American Society of Breast Surgeons, American Medical Association, Oklahoma State Medical Association, and a Fellow of the American College of Surgeons. Dr. Smith has published peer-reviewed articles in numerous journals and has supported local organizations benefiting women with breast cancer. Dr. Smith is certified by MD Anderson Cancer Network®, a program of MD Anderson Cancer Center.